I’ve been neglectful in sharing, so let’s play catch up. Last year, I told you about the Robin Rowers. There are 8 of us participating in this fabulous project. There’s Anita from the Netherlands – our wonderful leader and organizer, Shiela from Australia, Isabell from the UK, Viviane also from Canada, and Betsy, Cynthia and Charlotte from the United States. 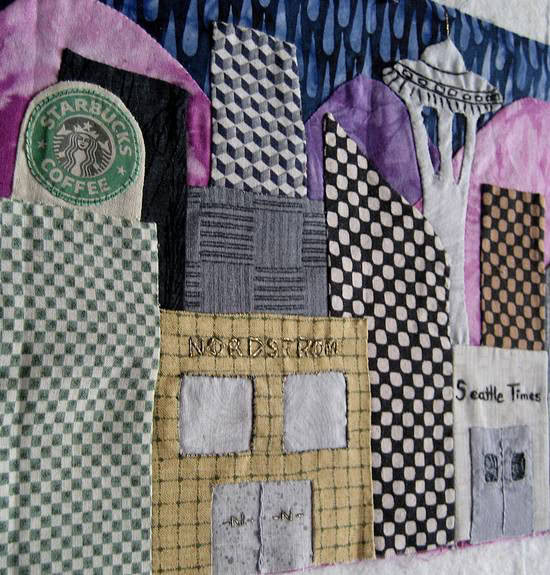 Truly an international group of quilters. To date, we’ve done our own row in any style we want, mine is Friends. Then we’ve done Flowers, Houses, Stars, Animals and Food. Currently, we’re working on trees, and our last row will be Hearts. I have lots of photos to share, so I’ve broken this update post up into two parts. This one is for Flowers & Houses. 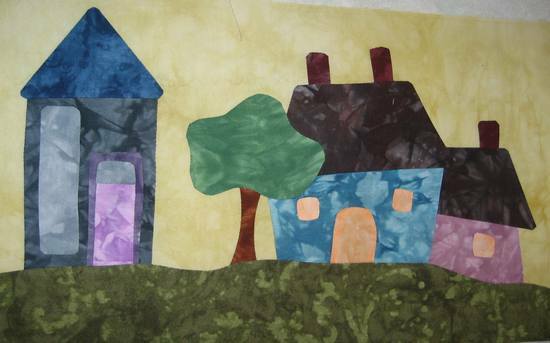 Look for another post later today for Stars, Animals, Food and my quilt so far. Here’s the absolutely gorgeous flower row I received from Anita. A few close up photos are on the older blog post too. 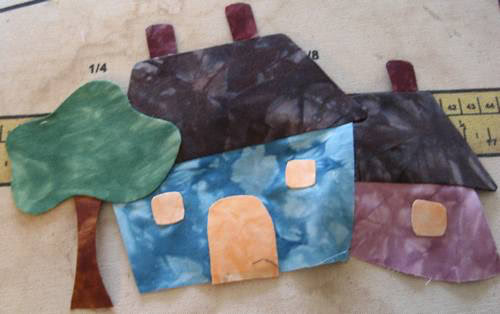 Our next row was houses. 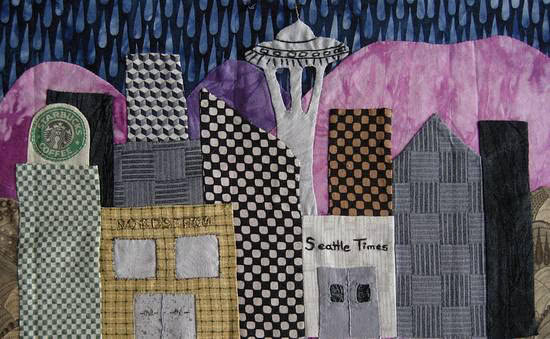 Here are some photos of the fabulous row I received from Charlotte who lives near Seattle, WA. For some reason, the houses row really spoke to me. I’m sure it had something to do with what was going on in my life at the time and losing Daniel. 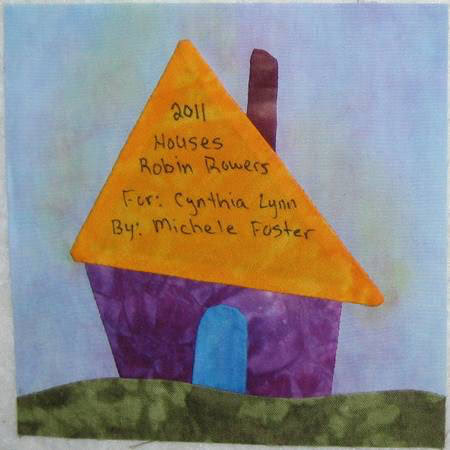 The houses row I made was sent to Cynthia. I drew my design on freezer paper. 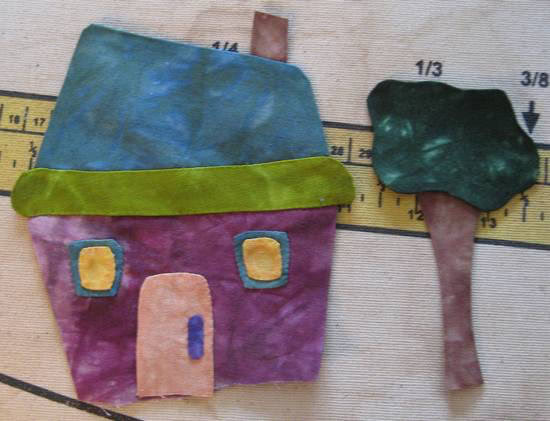 A couple of the houses were done using the starch based applique method, but I ended up not liking that at all, and did the rest using a glue stick instead. Much, much quicker. I pre-assembled my houses and trees into units. 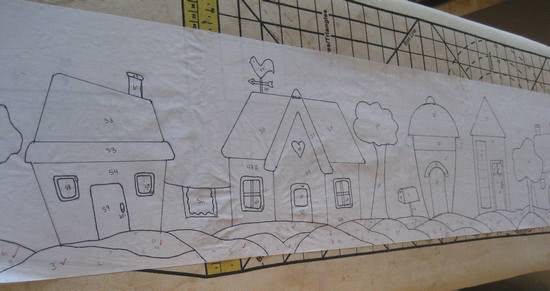 Since my full design was already on freezer paper, I just ironed it to my ironing board to keep it flat so I could use it to layout the houses on my background fabric. 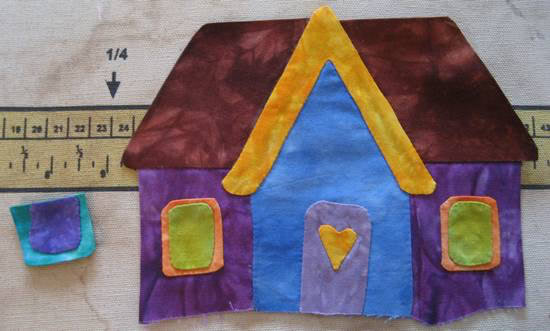 Houses roughly pinned in place, ready for stitching on the background. 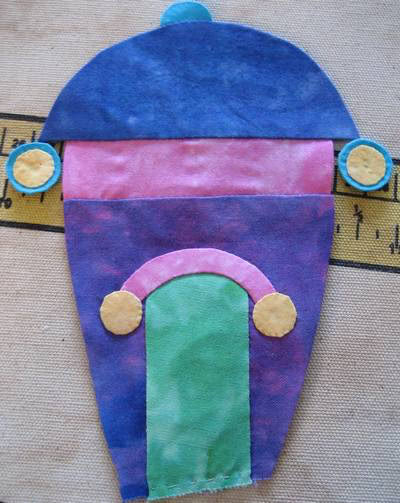 I used a glue stick to attach them for stitching. 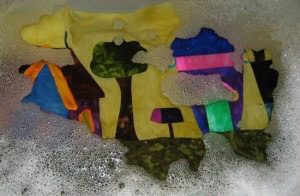 The scariest part of glue-based applique is bath time. In addition to making the row for our partner, we’re also making a 5.5″ label. Next up, Stars, Animals and Food! Those rows are just awesome! What a fun project! I love your round-ish house. Too cute. The vines and flowers are awsome, too! Can’t wait to see the other rows. Love your flowers and especially the houses. They seem so happy. 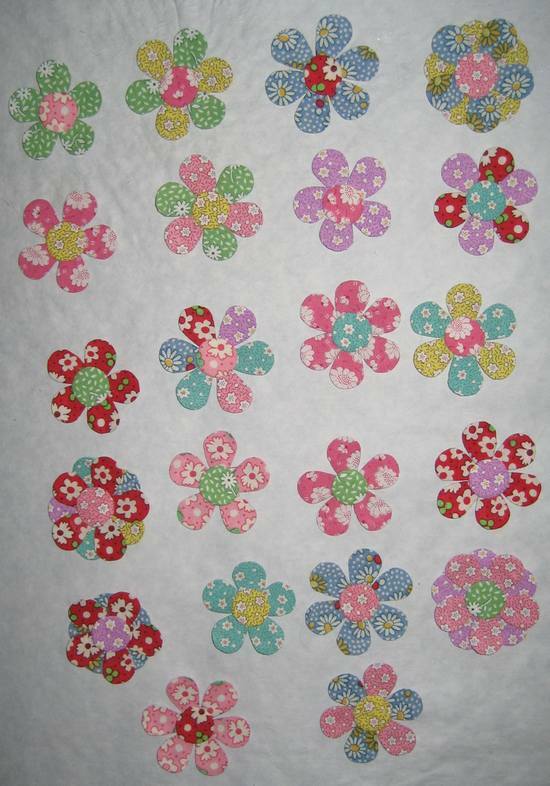 WOW I love your flower and house rows… the houses are just darling! Wonderful! Thanks for sharing. 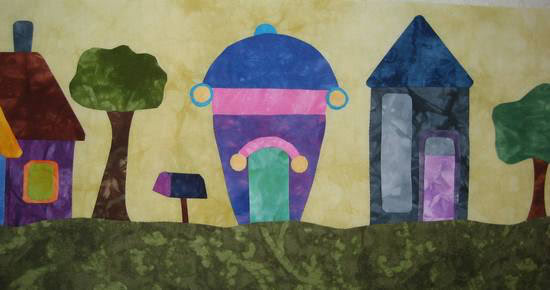 Your houses are so cute. I love them.